Blog Hoppin': LinkUP for Educational-Pinterest People! Every now and then I have an idea that literally keeps me awake at night. Last night was just such a night. 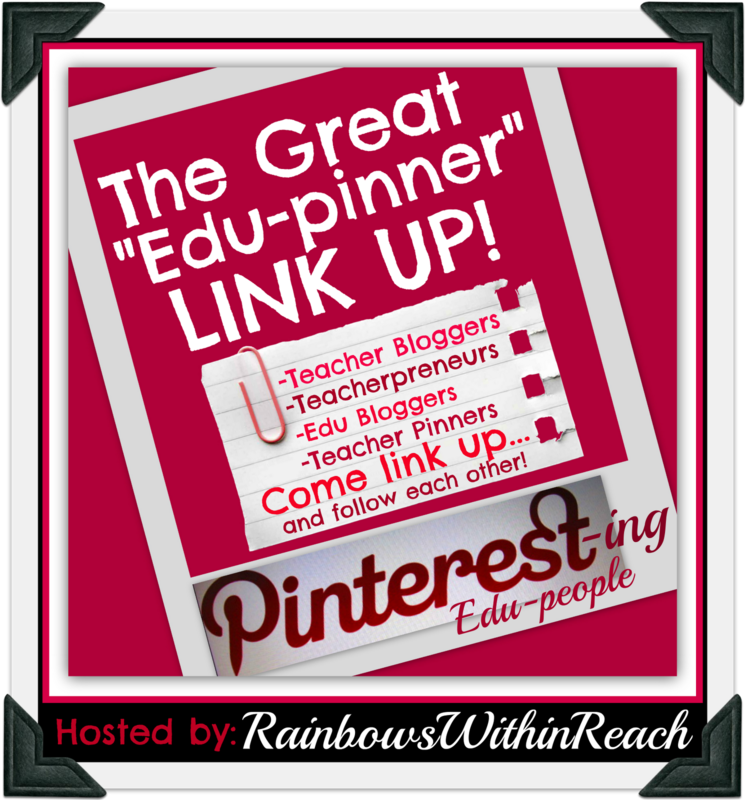 I am so excited to be hosting a spot to showcase 'educational' people who pin-on-Pinterest! The link-up already has exceeded the first 100 edu-pinners in under two hours!!! Oh, be still my heart! You're going to find a TON of edu-people to follow!!!! Come on over to this link on my COLORFUL site, RainbowsWithinReach, and add your PIN BOARD URL! This would certainly be advantageous for bloggers, but just as helpful for teacher- pinners, too. Let's help get one another organized for the bright shiny year ahead! BTW: I now have just over 24,000 Pinterest followers personally. Cut to the front of the line and follow my Pinterest collection of 16,626 edu-pins on 106 boards right here. I would live to have this not only for my classroom but also it would help decorate the football locker room before games. Wow those football boys could really get some motivation without it looking too "Girly "- like some of the bought stuff does. I would use the Cameo for bulletin boards, cafe board, and so much more. So excited!! !